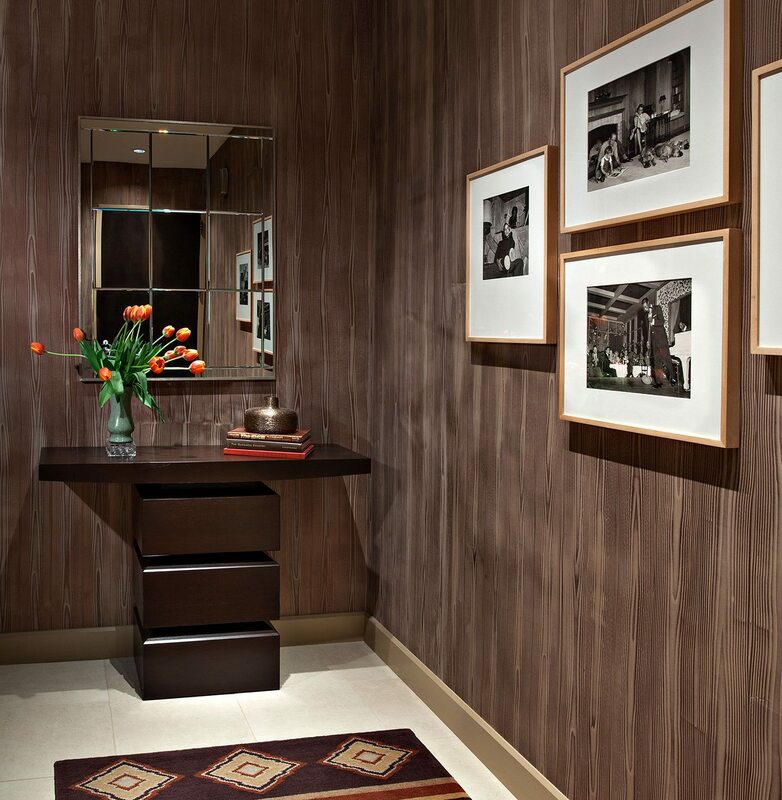 A condominium at Kierland Lofts in North Scottsdale, Arizona presents an opportunity for the owners, whose primary residence is in Connecticut, to display the art and artifacts they love to collect. 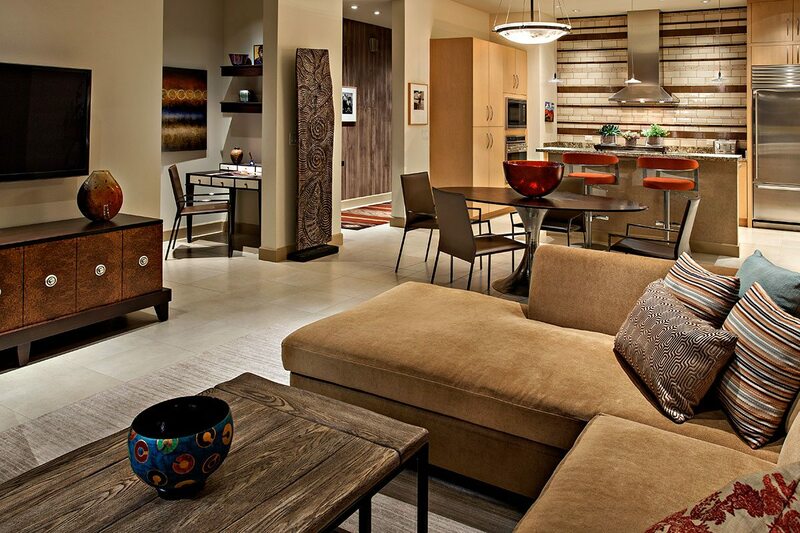 Contemporary, and eclectic, elements in this Scottsdale urban loft interior design set the stage for the theme of this open style floor plan. Their taste is contemporary, and eclectic. They collect historic Hollywood black and white photos, displayed on their entry hall wall, various pottery artists, and a variety of acrylic and watercolor artists. 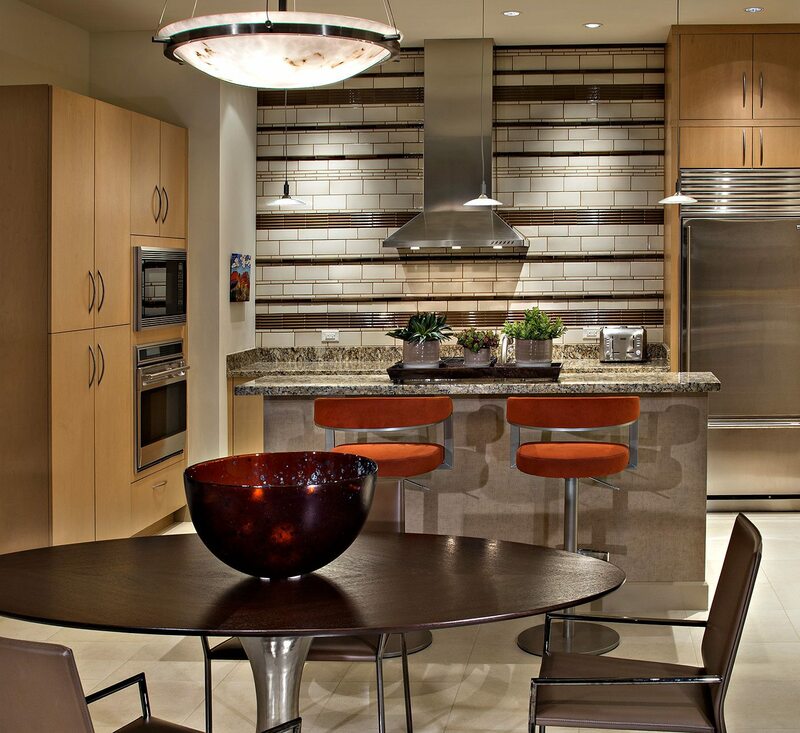 In addition, the kitchen wall displays the artistic nature of an Ann Sacks tile collection, which sets the stage for the design theme in this open style floorplan.